The Navy's "Arsenal Ship Concept of Operations (CONOPS)" and "Arsenal Ship Capabilities Document (SCD)" addressed the need for the design of a large missile platform that could carry massive and precise firepower, accomplish long-range strike, and perform flexible targeting and multidimensional theater defense capabilities consistent with the policies of "Forward...From the Sea" and "Operational Maneuver from the Sea." The ship reported here is designed to be a large missile magazine that receives its launch orders from remote air, land or sea forces. It is fully integrated into the joint command and control structure to assist current forces in the opening days of conflict. A major design goal of the Arsenal Ship is to limit the crew size to 50 personnel through the use of system automation, redundancy and equipment reliability, while imposing an additional constraint of limiting the sailaway price to 550 million dollars. The TSSE design team devised a design philosophy, functional analysis and flow diagrams, and a team specific Arsenal Ship CONOPS. These documents provided initial guidance in the selection of systems and procedures by identifying a prioritized list of design goals, and a detailed description of how the Arsenal Ship operates. The team performed tradeoff studies to determine the optimal hull alternatives, combat system selection, and systems and procedures to reduce crew size. The Arsenal Ship's hull is a modified repeat of the T-AO 201 class auxiliary ship with double hull. The selection of this hull is based partly on mass tonnage for survivability, carrying capacity for approximately 500 vertical launched missiles, and budget constraints that preclude a new hull design. The midship section of the ship is fitted with 64 8-cell Vertical Launch System (VLS) modules. The Cooperative Engagement Capability (CEC) was included in the design to provide the controlling platform the ability to remotely fire the Arsenal Ship's missiles. System automation, remote sensors and cameras are used in every situation to benefit the design for manning reduction. Final student report, PDF file (2,358 KB). Arsenal Ship Concept of Operations - (PDF file, 161 KB) . Main presentation (PDF file, 61 KB). Automation for reduced manning (PDF file, 129 KB). Integrating the ATACM (PDF file, 729 KB). Ship characteristics (PDF file, 9 KB). 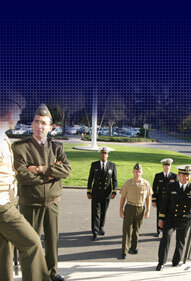 Manning plan (PDF file, 16 KB).